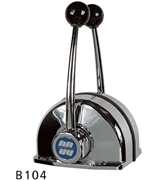 The B104S Single lever dual action control to operate both throttle and shift. Suitable for any type of boats with outboard, inboard or I/O power plants. 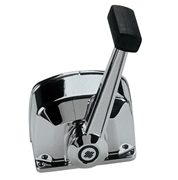 Features: Enables easy and safe shifting by preventing accindental gear engagement unless engine is idling. 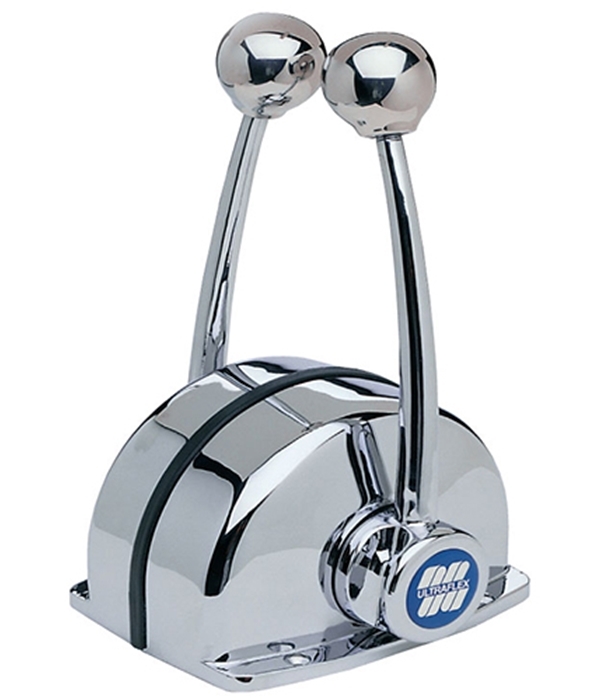 Made of chrome plated marine aluminum. Pull-out handle disengages shift for warm-up. Neutral safety switch prevents in-gear starting. Built in friction to avoid throttle creep. For use with Ultraflex engine control C2, C8 and C0 engine control cable.